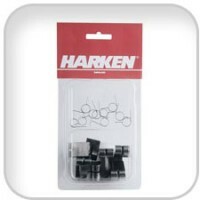 Power watts: 1500Use with winches: Classic: B44.2STE to B60.2STEDescription: Circuit breakerMax. amp.. Description: Circuit breakerMax. 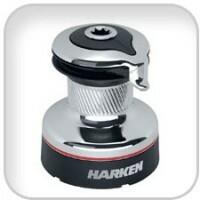 amps: 135Voltage: 12Power watts: 1500Use with winch: Radial: 50.2ST.. Description: Circuit breakerMax. amps: 150Voltage: 12Power watts: 1500Use with winches: Classic: B70.. Description: Circuit breakerMax. 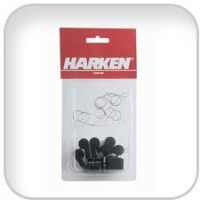 amps: 80Voltage: 12, 24Use with winches: 24 volt - Radial: 46.2STE ..
Harken, Control Box w/Load Controller - UniPower 12 Volt, WLC200UPW12..
Harken, Control Box w/Load Controller - UniPower 24 Volt, WLC200UPW24..
Width (in): 3 5/32Width (mm): 80Weight (oz): 35.3Weight (g): 1000No. of winches: 1Voltage: 12Length ..
No. of winches: 1Voltage: 24Length (in): 5 1/2Length (mm): 140Height (in): 4 11/32Height (mm): 110Us..
Use with winch: 40Voltage: 12Motor power (watts): 700Length (in): 3 11/32Length (mm): 85Width (in): .. Limitation: Recommended2nd speed blocking current: 136Use with winch: 46Voltage: 12Motor power (watt..
Use with winch: 46Voltage: 24Motor power (watts): 900Length (in): 3 11/32Length (mm): 85Width (in): ..
Use with winch: 46/50Limitation: RequiredVoltage: 12Motor power (watts): 15002nd speed blocking curr..
Use with winch: 46/50Limitation: RequiredVoltage: 24Motor power (watts): 20002nd speed blocking curr.. Limitation: Recommended2nd speed blocking current: 200Use with winch: 50Voltage: 12Motor power (watt..
Use with winch: 50Voltage: 24Motor power (watts): 2000Length (in): 3 11/32Length (mm): 85Width (in):.. Limitation: Recommended2nd speed blocking current: 200Use with winch: 60/70Voltage: 12Motor power (w..
Use with winch: 60/70Limitation: RequiredVoltage: 12Motor power (watts): 15002nd speed blocking curr..
Use with winch: 60/70Voltage: 12Motor power (watts): 2000Length (in): 3 11/32Length (mm): 85Width (i..
Use with winch: 60/70Limitation: RequiredVoltage: 24Motor power (watts): 20002nd speed blocking curr.. 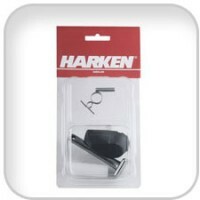 Description: Lock-in Winch Handle Repair KitIncludes: Lock-in knob/spring pin/lock-in spring/isolato.. 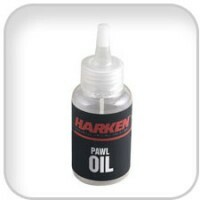 Description: Pawl Oil for Pawls and Springs..
Harken, Racing Disconnect Rod for 44 Winch, B4644..
Harken, Racing Disconnect Rod for 46 Winch, B4646..
Harken, Racing Disconnect Rod for 48 Winch, B4648..
Harken, Racing Disconnect Rod for 53 Winch, B4653..
Harken, Racing Disconnect Rod for 60 Winch, B4656..
Harken, Racing Disconnect Rod for 65 Winch, B4665..
Harken, Racing Disconnect Rod for 70 Winch, B4664..
Harken, Racing Disconnect Rod for 74/980 Winch, B4666.. Description: Racing Winch Service Kit / 8 mmIncludes: 10 17-4 PH pawls/10 springsFits Winch: B50 -B6.. 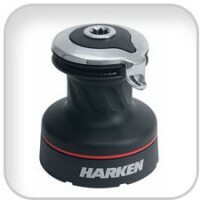 Description: 10 17-4 PH pawls / 10 springs..
Harken, Radial 2 Speed Aluminum Self-Tailing Winch, 35.2STA..
Harken, Radial 2 Speed Aluminum Self-Tailing Winch, 40.2STA..
Harken, Radial 2 Speed Aluminum Self-Tailing Winch, 46.2STA..
Harken, Radial 2 Speed Aluminum Self-Tailing Winch, 50.2STA..
Harken, Radial 2 Speed Aluminum Self-Tailing Winch, 60.2STA..
Harken, Radial 2 Speed Aluminum Self-Tailing Winch, 70.2STA..
Harken, Radial 2 Speed Aluminum Self-Tailing Winch, 80.2STA..
Harken, Radial 2 Speed Chrome Self-Tailing Winch, 35.2STC..
Harken, Radial 2 Speed Chrome Self-Tailing Winch, 40.2STC..
Harken, Radial 2 Speed Chrome Self-Tailing Winch, 46.2STC..
Harken, Radial 2 Speed Chrome Self-Tailing Winch, 50.2STC..
Harken, Radial 2 Speed Chrome Self-Tailing Winch, 60.2STC..
Harken, Radial 2 Speed Chrome Self-Tailing Winch, 70.2STC..
Harken, Radial 2 Speed Chrome Self-Tailing Winch, 80.2STC..
Harken, Radial 2 Speed Electric ST Aluminum Winch Horizontal 12 Volt , 60.2STEA12H..
Harken, Radial 2 Speed Electric ST Aluminum Winch Horizontal 12 Volt , 70.2STEA12H..
Harken, Radial 2 Speed Electric ST Aluminum Winch Horizontal 12 Volt , 80.2STEA12H..
Harken, Radial 2 Speed Electric ST Aluminum Winch Horizontal 24 Volt , 60.2STEA24H..
Harken, Radial 2 Speed Electric ST Aluminum Winch Horizontal 24 Volt , 70.2STEA24H..
Harken, Radial 2 Speed Electric ST Aluminum Winch Horizontal 24 Volt , 80.2STEA24H..
Harken, Radial 2 Speed Electric ST Aluminum Winch Vertical 12 Volt , 60.2STEA12V..
Harken, Radial 2 Speed Electric ST Aluminum Winch Vertical 12 Volt , 70.2STEA12V..
Harken, Radial 2 Speed Electric ST Aluminum Winch Vertical 12 Volt , 80.2STEA12V..
Harken, Radial 2 Speed Electric ST Aluminum Winch Vertical 24 Volt , 60.2STEA24V..
Harken, Radial 2 Speed Electric ST Aluminum Winch Vertical 24 Volt , 70.2STEA24V..
Harken, Radial 2 Speed Electric ST Aluminum Winch Vertical 24 Volt , 80.2STEA24V..
Harken, Radial 2 Speed Electric ST Chrome Winch Horizontal 12 Volt , 60.2STEC12H..
Harken, Radial 2 Speed Electric ST Chrome Winch Horizontal 12 Volt , 70.2STEC12H..
Harken, Radial 2 Speed Electric ST Chrome Winch Horizontal 12 Volt , 80.2STEC12H..